The Eastern Surfing Association is proud to announce that the 2012 Mid-Atlantic Regional Surfing Championships will be held at the Hamlet Avenue beach access in Carolina Beach, NC May 3-6, 2012. Over 250 ESA competitors from Delaware to Georgia will compete for the title of ESA Region Champion and coveted slots to the ESA Easterns® held in September in Cape Hatteras. The ESA Southern North Carolina District will be the Regional host District for the 5th time in the 28 year history of the Mid-Atlantic Regionals, the most of any District. The 2004 Regionals were also held at the Hamlet Avenue beach access. “Our competitors and their families love coming to the Wilmington area, especially Carolina Beach” commented Harry Purkey, ESA Mid-Atlantic Region Director. “The waves and weather are great in May, the accommodations are excellent and the people are wonderful. 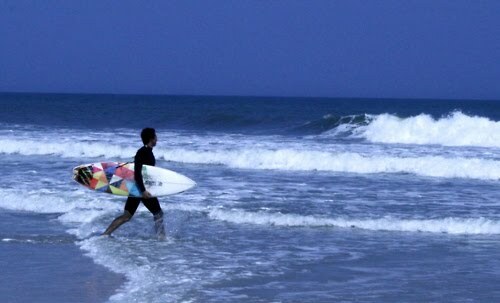 Carolina Beach is one of the ESA’s favorite contest venues” continued Purkey. “We are really excited to be back”. Competition will start Thursday May 3rd at 7AM and conclude mid-day Sunday, May 6. For more information, or to become a sponsor please contact Harry Purkey at Midatlantic@surfesa.org or ESA-SNC District Director Amy Rose at busymom93@att.net. Or follow us on the Web at Surfesa.org/Midatlantic for more information. The Beacon House Inn Bed & Breakfast is located just about one mile from the Hamlet Avenue beach access. Early morning “breakfast to go” is available to guests of the Beacon House. Please call 910.458.6244 to book your stay. This entry was posted in Family Friendly, In the News, Spring Events, Surfing by admin. Bookmark the permalink.